LR Enterprises/AV Concepts is a project-oriented A/V design, consulting and installation firm specializing in all areas of the audio, video, music and control Industries. Although our primary focus involves the corporate and commercial markets, we have worked on projects throughout the world, encompassing all types of corporate, industrial, government and residential AV systems. Whether your project requires a complete AV consultation service with detailed design or a turnkey installation, we will work with you in a detailed manner to insure a successful outcome. When necessary, we also coordinate closely with the project architect, so as to provide associated CAD and graphics documentation. Our A/V consultation services encompass everything from budget development to the generation of bid documents. We will work directly with the client and/or architect firm to incorporate our A/V specification into the complete bid package, or provide a stand-alone A/V spec. We can also manage your project through the completion process. We pride ourselves in designing systems that perform great, are easy to use and reliable. 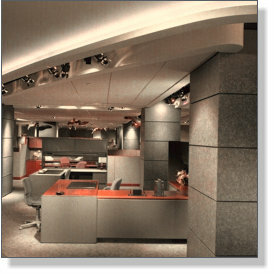 We are very detail oriented and can develop a design that will fit within almost any budget, commercial or residential. We provide AutoCAD documentation for everything from equipment rack layouts to block diagrams/schematics to floor plan/equipment room layouts.